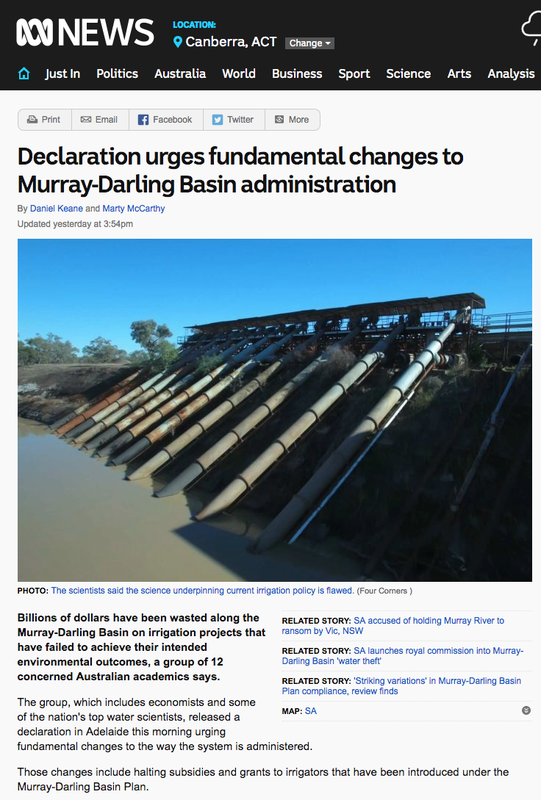 Billions of dollars have been wasted along the Murray-Darling Basin on irrigation projects that have failed to achieve their intended environmental outcomes, a group of 12 concerned Australian academics says. The group, which includes economists and some of the nation's top water scientists, released a declaration in Adelaide this morning urging fundamental changes to the way the system is administered. Read the rest at ABC News.